As I write this story I am very happy to report that my Rotary Club and the Rotary Club of West El Paso Foundation are helping to grow a new program on our border with Juarez called Tree of Hopes. 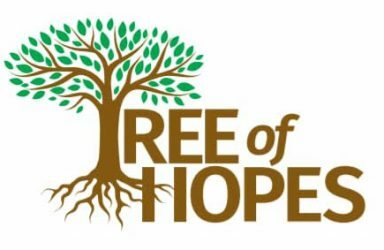 The mission of Tree of Hopes is to support humanitarian efforts to help needy families living along the US Mexico border in the Juarez, Chihuahua – El Paso, Texas region. The signature project is at the Comedor Aposento Alto A.C. Ongoing programs at the Comedor include feeding needy children and hosting music lessons sponsored by the Focus Association in Juarez. Most of my friends know that I grew up in Western New York near Buffalo. Almost every year the area gets plenty of cold and snow. 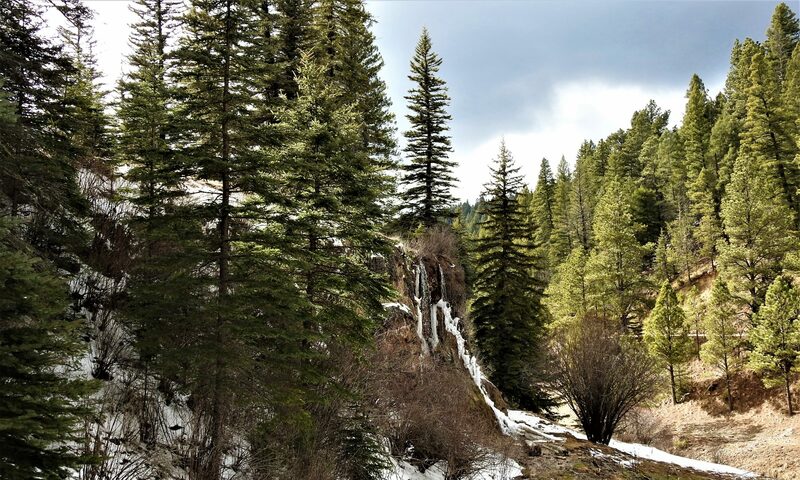 Up until recently during the winter months I would make comments to friends in El Paso about I hoped it would snow because I miss the beauty of the snow and ice that I grew up with. The desert and mountains here in El Paso are so beautiful when it snows. But now I have changed. Something happened to me a little over four months ago on Christmas Eve. I spent the holiday with my friends at the Comedor in one of the poorest areas in northern Juarez. The community is called Anapra. Over the years millions of people have seen this area from a distance driving on I-10 through West El Paso near Sunland Park and Mount Cristo Rey. As one leaves downtown El Paso and passes UTEP you can see close views of the neighboring Felipe Angeles. Just north of Felipe Angeles is Anapra. For years I was one of those millions of people driving by this area of Juarez. As a result of my visit on Christmas Eve I now know more about what is happening on the edge of our city. For thousands of families the struggle to survive is heart breaking. There is extreme poverty. I hope and pray that as a result of Tree of Hopes more people will become aware of the situation and want to help. On Christmas eve I joined Nestor, his sister Grissel and Roberto on a journey across Anapra and Felipe Angeles to help take food and blankets to people in need. I will never forget the family living high up on a ridge in a house covered with blankets for insulation and the children who lived there. I will never forget the man with one leg who had an infection on his foot and who lived in a little shack with one room and a small wood stove for heat. I will never forget the elderly couple who also lived in such a sad and uncomfortable place. They looked so sad. My eyes fill with tears when I think about them. I have learned so much about the poor people who live in such terrible conditions so close to our border with Mexico. There are organizations trying to help them, but obviously the need is so great and more help is needed. That’s why with the help of the West El Paso Rotary Foundation I am organizing a new non-profit effort called Tree of Hopes. A website has been started and there are many ways every person who reads this can help. When working on a conservation education project not long ago a friend of my said that if you want people to help these days many people want to know what’s in it for me. Well I can tell you that if you help these people you will experience a great feeling inside knowing that you are doing something good for our world and other human beings. As you drive down 1-10 and look over into Mexico across from UTEP you can see all the houses on the mountain side. During the winter you can often see smoke coming from them. The smoke is not coming from heated homes with fireplaces. The smoke is coming from small wood stoves with people sitting near them breathing dangerous fumes as they try to stay warm with what blankets they have. We have some beautiful artwork on I-10 with nice painted bridges, statues and ornaments and lighted structures across from the new Fountains shopping center. We also have smoke stacks and little lights coming from homes with people who are suffering all within view of our expensive new cars as we zip down the highway. With the help of the Juarez Executive Rotary Club and the Municipal Government of Juarez the Aposento Alto dining room was opened in February of 2009. Since that time thousands of children living in one of the poorest communities in Juarez have received warm food served by volunteers. Please help us reach our goal of raising $100,000 to sustain this effort over the next few years. Let us hear from you. Tell us how you want to be a part of the tree. You can be a part of the trunk, a branch, a stem, a leaf, a flower or simply a ray of sunshine or nourishment for the soil. To make a donation click the PayPal link below. To follow our progress and learn more go to our Contact page. Thank you for taking time to learn about Tree of Hopes.